I had almost given up on a location for sunrise on this particular morning. While I normally scout an area pretty thoroughly, I had assumed it would be easy to find a field of blue wildflowers. However, much to my frustration, I was not having much success. 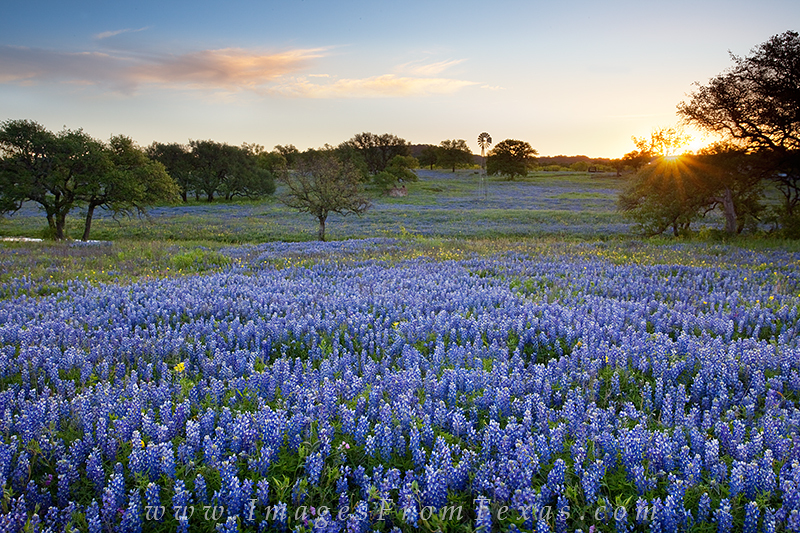 Finally, as I sped along a dirt road and climbed over a small hill, there before me was this scene - a landscape of bluebonnets with the sun just peeking over the horizon. Photo © copyright by Rob Greebon.